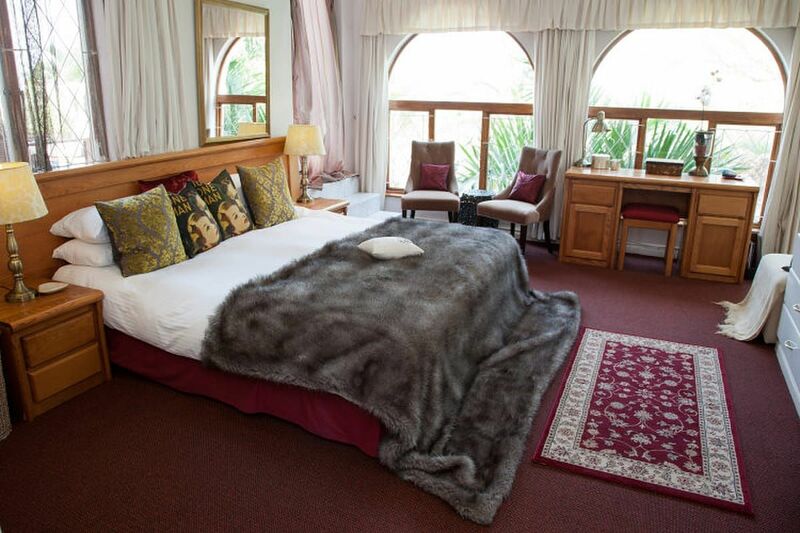 Welcome to La Loggia Bed & Breakfast or self-catering accommodation, where we offer you the warm atmosphere of home with the style, class and service of a Hotel at affordable rates. 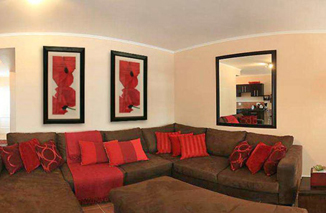 We offer top-class accommodation and one of a kind service and customer satisfaction. 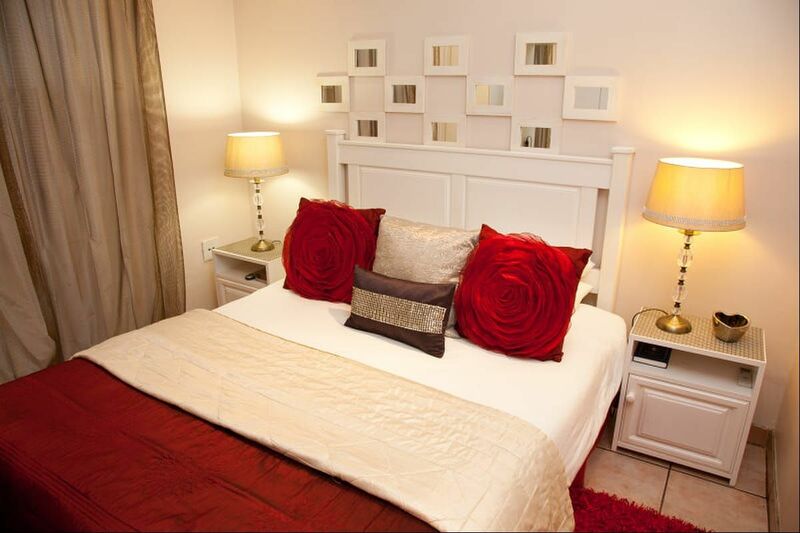 Our rooms are clean, neat and tastefully decorated, not to mention comfortable and luxurious with high standard. Our service is quick, efficient and friendly. 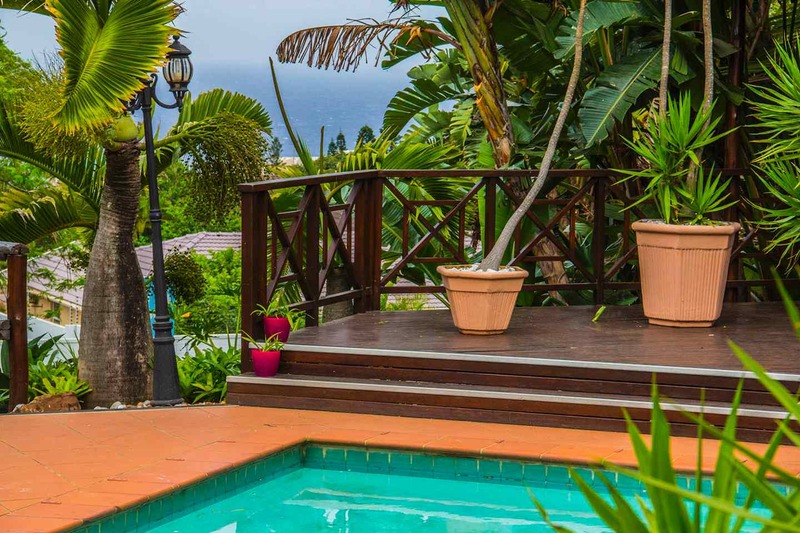 We are situated in a subtropical oasis yet offer European style. After a day of work or travelling, relax on the sundeck surrounding the sparkling swimming pool. 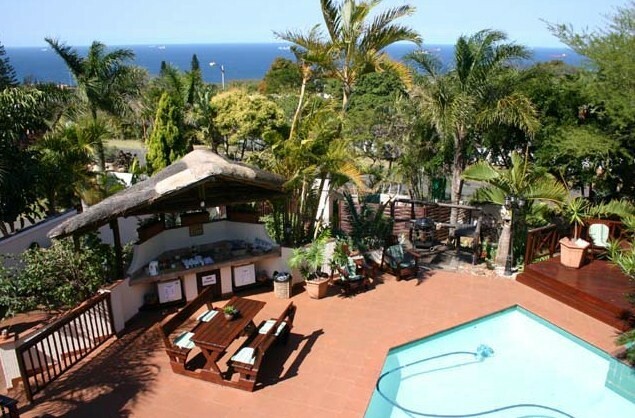 Our facilities include off-road parking, air conditioned rooms, M-Net & Satellite TV, wireless internet, private entrances, barbecue, fully licensed bar and kitchen facilities. Another special attraction is our precious nesting Weavers to be seen at home in the lush tropical garden. Breakfast is served in our tropical garden alongside the pool under our thatch-roofed patio, with the soothing sounds of local bird life and relaxing music in the background, breakfast is a tranquil environment, and with our beautiful menu to compliment all this, Breakfast is bliss at the La Loggia. Tea and coffee are on offer throughout the day and we also serve a wonderful home prepared dinner on request - prior notice is required, please. 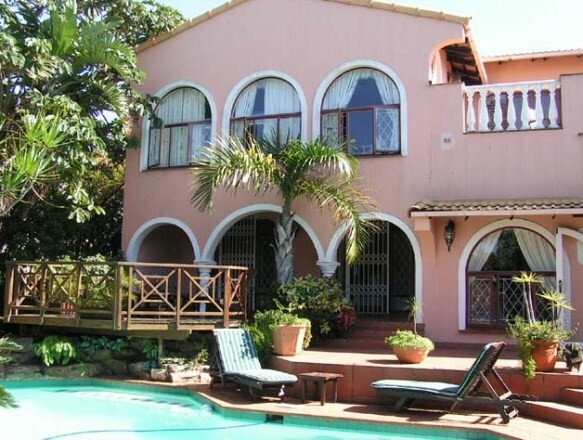 La Loggia is close to swimming beaches, Shark's Board, surfing, dolphin viewing, diving, horse riding, gyms, tennis courts, golf courses, Sibaya Casino as well as day tours and safaris. 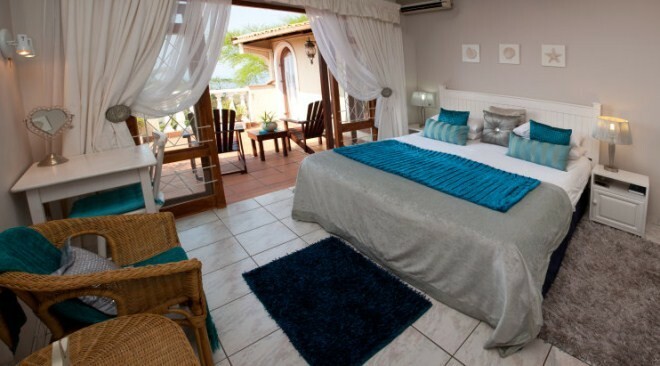 Description: One of the best rooms, luxurious and comfortable, with stunning sea views. King-sized beds, en-suite full bathroom. T.V with M-net and satellite, air-con, tea/coffee facilities, hairdryer, radio-clock, refrigerator, microwave, balcony with sea view. 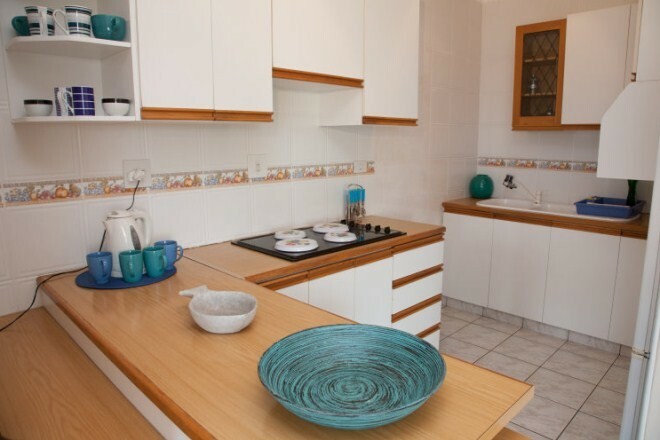 Description: Spacious apartment with separate bedroom with queen-sized bed, en-suite bathroom with shower, full kitchen, tea/coffee facilities (complimentary). Lounge with sea view, air-con, entrance to large balcony with sea view and BBQ facility. Private entrance. Description: Sea-facing room with queen-sized bed. T.V with M-net and satellite, air-con, tea/coffee facilities (complimentary), hairdryer, radio-clock, refrigerator, shower. Entrance to large balcony with stunning sea view and BBQ facility. Private entrance. Description: Garden/Sea-facing room; queen-sized bed. T.V with M-net and satellite, air-con, tea/coffee facilities (complimentary), hairdryer, radio-clock, refrigerator, full bathroom. 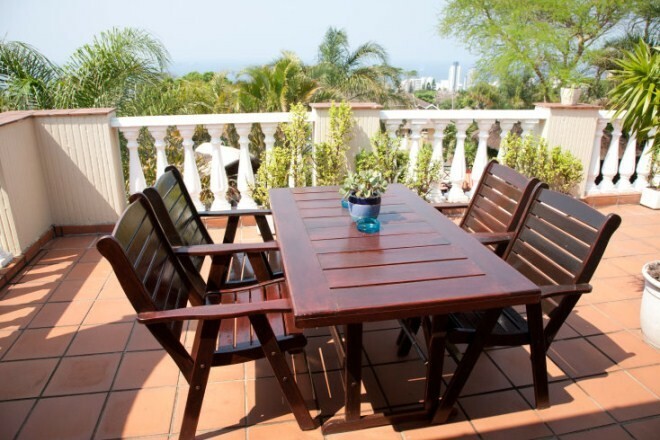 Private wooden patio with discreet entrance to swimming pool, garden, and small sea view. Description: Separate main bedroom with queen-sized bed, full kitchen, tea/coffee facilities (complimentary). Lounge with T.V with M-net and satellite. 2 single beds or 2 cots accommodates children, Shower, Air-conditioned, and a private entrance. Description: Non-Sea Facing room (Standard); double bed. T.V with M-net and satellite, air-con, tea/coffee facilities (complimentary), hairdryer, radio-clock, refrigerator, en-suite bathroom with shower. Private entrance. Description: Two Non-Sea Facing standard rooms; both have double bed, T.V with M-net and satellite, air-con, tea/coffee facilities (complimentary), refrigerator. 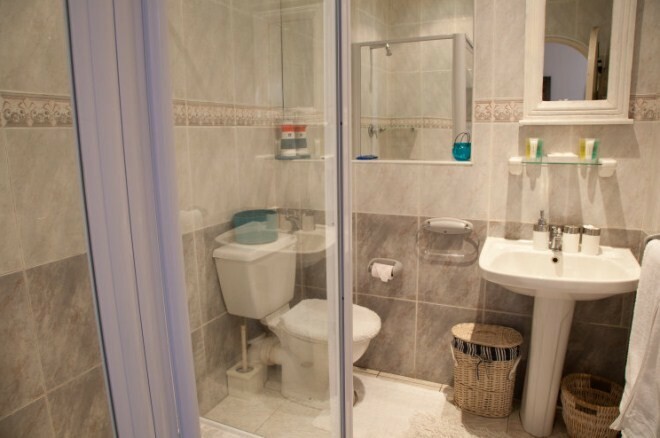 Both rooms sharing bathroom. Description: Separate main bedroom with double bed, en-suite bathroom, full modern kitchen, air-con, tea/coffee facilities.Lounge with comfortable sleeping couch or cots can be provided. T.V (full satellite). Balcony with BBQ facility, secure undercover parking. "We had such a lovely stay. The breakfast was delicious every morning. The staff is friendly and we felt at home. 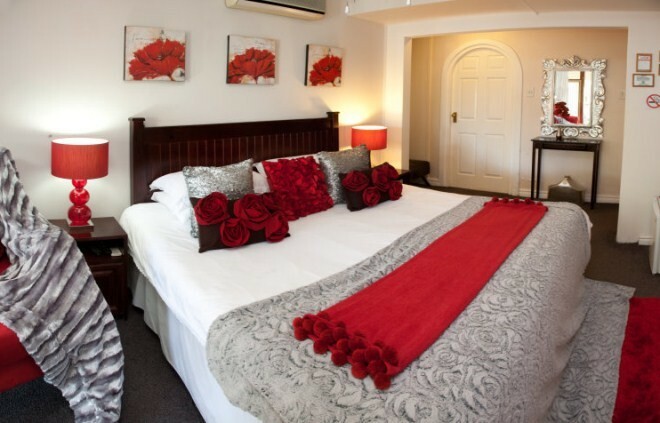 Will definitely recommend La Loggia for a great get away to anyone." "Lovely breakfast in the morning, clean and comfortable rooms. Friendly staff from the minute you check in until the very end of your stay." Contact La Loggia directly. Send them an email.